Technology, Social Media and Employment: The effects on the traditional workplace. My love for technology has allowed me to embrace all that it has to offer. This is not as common in my age range because my generation did not grow up with computers. I had my first opportunity to dabble with computers at the local Community College in Philadelphia where I attended in 1985. I had a huge geek crush on cool but Geeky guy name Raymond that we called Chris. I never really understood the name thing? Go figure. Well computers then were rather large, had no mouse and used HUGE floppy disks as a means of storage. Well we’ve come a long way baby. The Second wave of technological enlightenment came during the Internet Revolution, or as it was called then The World Wide Web. At this time I had a huge grandfatherly crush on a guy named Bob who I listened to endlessly as he discussed how the World Wide Web would change the world as we knew it. So right he was…so right he was. We are now nose deep in the biggest change that i’ve seen and that’s the worlds total obsession with Social Media. There is not one industry or person that has not been changed by Social Media. Every aspect of life seems to revolve around Social Media and it is causing a firestorm of growth and changes to life as we known in every industry imaginable. One of the changes that I believe we are just now starting to see is how Social Media is changing in the workplace. This could be viewed as good or bad depending on your perspective. A few of the dynamics, that I believe will totally change how we employ people in America is Social Media, Super Quick Technology Growth, Competition and The Economy. These things are changing the need, demand and overall ebb and flow of the workplace. These four things will force companies to use creative means to obtain a work force and that will mean Freelancing, Consulting, telecommuting options and an influx of road warriors to carry out the many tasks that will be needed for companies to be competitive and relevant in their industries. This could be an amazing opportunity to people that have been longing for freedom from their cubicle. 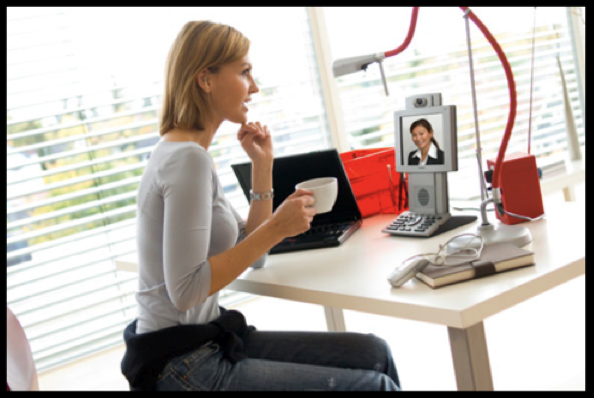 The US Telecommuting forecast shows an additional 29 million telecommuters will enter the remote workforce between 2009 and 2016, totaling to 43% of US workers. These trends will force workers that have not embraced the change to be more flexible, consider different options about employment and open their minds to different avenues of employment such as telecommuting and freelancing. Times are-a-changin’ we must see the transition and be willing to change with the new ebb and flow in this techological age of Employment, Social Media and Technology growth. As workers, Consultants and Freelancers this could be the freedom that you’ve been searching for. However, people that are resistant to change and like a traditional work environment, this could be more challenging. If you are currently looking for new opportunities that may include Consulting, Telecommuting, Freelancing or if you are trying to get experience in a NEW Industry you should consider working on your online presence. Set up a Free Google Page, an Online Resume, Create a Facebook page, Twitterpresence and even a Blog. As usual, I welcome your input, good bad ugly or indifferent. Feel free to leave a comment or post directly on my Facebook wall.